This is the Marvel movie that started them all, that created the buzz to justify the green light, and all the rest can quite literally be called history. Comic book/superhero films were part of a downtrodden genre until the Marvel Universe came along, Iron Man leading the charge, and what this franchise has done to cinema in general is beyond qualifying. I don’t mean to forget the great action icons of the past like Superman or Batman or whoever else you want to name, nor do I intend to be so grandiose as to claim that Marvel saved Hollywood. But I do think that the MU revived a dying genre and jump started the industry, proving that adventure didn’t always have to equal low quality, and that audiences, critics, fan boys, and Joe Movie-goer could all come together to enjoy something awesome, without sacrificing their taste. Based on the classic Marvel comic, this is the story of how Tony Stark became Iron Man, and what his transformation would mean to a world that was mutating into something much more dangerous, more chaotic, but with a future that was brighter than ever. Tony was the son of Howard, the great inventor and businessman, who created Stark Industries and seemingly every new technology. After his parents’ death, Tony turned the company into a weapons dealer, helping to make the world a safer place, after some strategic victories by the United States military and their cool new killing machines. But Tony would soon find out that his weapons didn’t always land in honest hands, and that he was personally responsible for violence all over the planet. Out of necessity, Tony built the first Iron Man suit, and would go on to become a beacon of justice and peace where once was only profit and war. I didn’t used to be a comic book movie fan; actually, I thought they were all pretty terrible. In my defense, they were, it just took too much forgiveness and too much blind loyalty in order to enjoy the stories, because they were very rarely ever supported by dialogue/acting/structure/talent/you name it. Now that the MU has morphed into a legitimate and surprisingly high-quality franchise, it’s easy to see how they were trying to lift the genre out of the mud early on, stumbling a few times perhaps, but eventually getting things off the ground where we cold really appreciate them. Iron Man was the first flight, and it was a successful one. 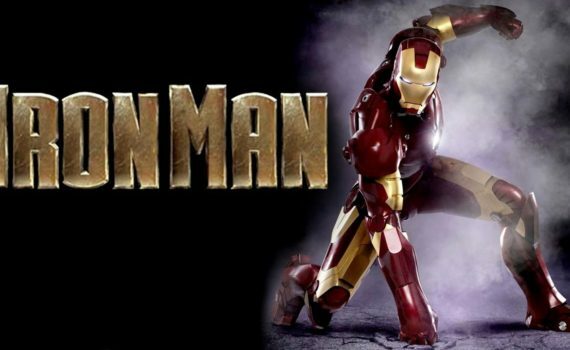 It’s a fun origin story, Tony is played so very well by Robert Downey Jr, the suit and the soundtrack both rock, and the film brought audiences on board in droves, ready for more movies as soon as possible. Gwyneth Paltrow is probably the weakest link, but Jeff Bridges is a cool villain, and the entire story works well and works succinctly. This is where it all began, and although it isn’t as strong as some that would come later (First Avenger, GOTG, Civil War), it won’t disappoint if what you’re looking for is a step up from the normal fighting flick, a step toward a new style, and the launching of an entire, game-changing Universe.